It was the late 90s and I had become a fan of a radio show titled "Acoustic Cafe", which aired on Sundays. Because of my work schedule I would record the show on cassette and then play it back in the car. One of their shows played a song by Peter Case entitled "On My Way Downtown". I quickly became obsessed. I rewound the tape over and over again just to play that song. 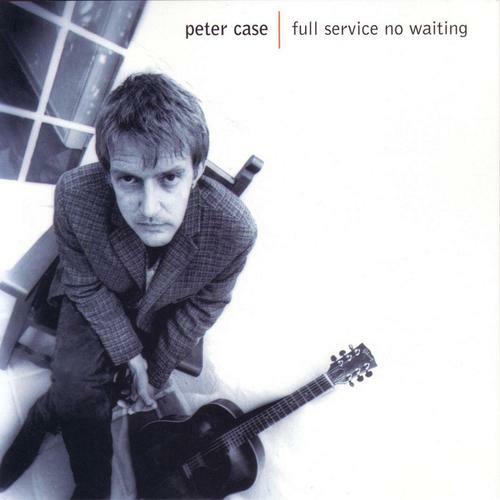 I had never heard of Peter Case and had no idea how long he had been on the music scene. What I learned over time was that, above all else, he was one of the strongest songwriters I've ever discovered. 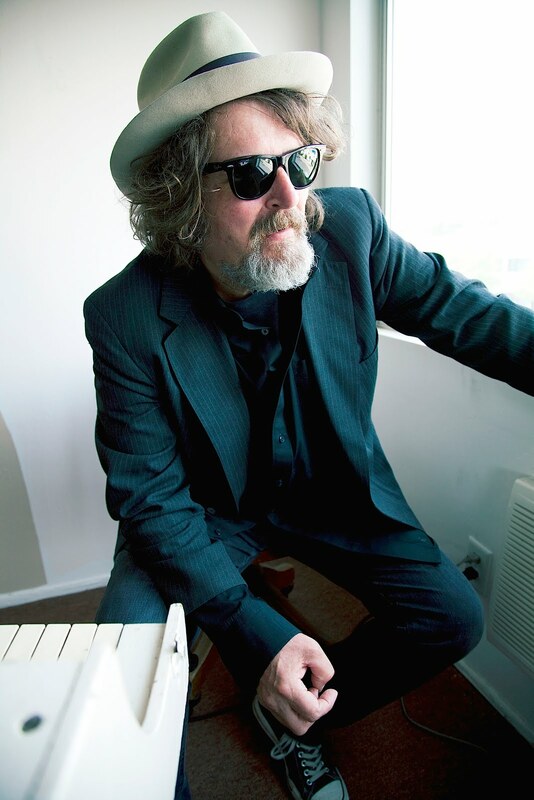 To both critics and fans, Peter Case is known for writing very real lyrics put to bluesy, country-influenced, singer-songwriter music. His words often tell autobiographical stories that touch on very personal issues. Whether he focuses on his personal relationships or on a character, the subjects and topics are all very realistic and relatable. By the time I was discovering "On My Way Downtown", Case had already released 7 solo albums, plus several albums with his former bands The Plimsouls and The Nerves. With his 1998 album "Full Service No Waiting", Case had perfected his writing style, and had a fine grasp on how to produce an album full of incredible arrangements. It's no wonder I was hit so hard. I wasn't prepared to hear a song so perfectly put together. I bought "Full Service No Waiting" on CD, before iTunes was a thing. Those of you who are old enough to know the music world prior to iTunes may understand the importance of this. I didn't have a chance to preview the album. I knew one song and bought the album based on the strength of it. This was why singles were so important back in the day. Fortunately for me, Peter Case produced a thoroughly perfect album. Each tune felt like it was put together with tiny, delicate hands. The album starts with "Spell of Wheels." Immediately the listener is brought into a story about some friends taking a drive and the experiences they have (some dark, some fun). It's a song that tells the listener to pay attention, because this is going to be a very different kind of album. These songs will haunt you as much as they make your toes tap. These songs will challenge you as much as they make you sing along. Another tune that I can't seem to get enough of is "Let Me Fall." The title alone is one reason I connect with it so much. As has been my M.O. since I was very young, I prefer to make my own mistakes. I don't like being held back by people telling me what might go wrong. Essentially, "Let Me Fall" is a song about a girl making a decision about love. It could be interpreted that this girl is waiting for an opportune moment to sneak out of the house and meet her love. What better request could there be from someone who simply wants some freedom to make a personal choice? Besides its title and theme, I absolutely dig the acoustic guitar's riff. It's got a bit of a sway. It makes me slide from side-to-side while I wear socks on a vinyl floor. It's hard to chose a favorite track from this album, but I think for me it's "Beautiful Grind." Found late in the album, it picks up the pace from its surrounding songs and includes one of my favorite instruments: a pedal steel guitar. It's used sparingly and comes in and out at the perfect times. Combined with a fun pickin' acoustic guitar, the two compliment each other. The former has a sad, reminiscing feel and the latter has a light, grinning face. But for me, the song wouldn't be half as good if not for the lyrics. As one might imagine based on the title, "Beautiful Grind" tells a story about a family's daily routine. But Case expertly goes back and forth in time. One part of the story takes place during the beginning of a relationship, the other takes place as a married couple with children. By simply wording his lyrics a certain way, the listener can understand that his feelings towards his wife are still as strong as they were when they first kissed. And using a storm as a metaphor (which, from the story, takes place during their first kiss), it's such a simple yet powerful lyric: I feel the current in my heart. I only see you when the lightening strikes. If the album hasn't already gotten your attention, "Crooked Mile" should grab you by your shirt. Immediately the guitar pulls you in with fierce picking. There's a heavy blues influence, but instead of using distorted electric guitars, Case instead keeps the acoustic sound of the album intact. And "Crooked Mile" is that much more powerful because of it. When he wants you to feel more, he doesn't turn up the volume nob or add feedback; Case simply switches from picking to heavy strumming. It's the kind of song you might hear on the corner by a street performer, a kind of song you have to stay to hear in its entirety. Asking a question as a kind of chorus: Who's gonna go your crooked mile? In other words, who in your life would follow the paths that you choose to take? It's an excellent question that anyone can ask of themselves. And like Case's writings, it's completely relatable. That's his secret. Even though his talent is above the average songwriter, his words still reflect an everyday man. A perfect example of this is "Still Playin'." It's the last track of the album and unapologetically tells of someone (more than likely Case himself) who will keep performing despite the lack of fame or fortune. But it's relatable because within the song he writes: Judging every note I play. The only request I've heard all night is can you sing far, far away. It can sound a bit self-deprecating, but more importantly, it sounds real. And it sounds real because it is. Case spent several years performing on the streets, just trying to make ends meet. This song represents his life at that time, from concerns for his future to the diligence that went further than most people could have given. For more information about Peter Case, visit his official site: www.petercase.com or better yet Google his name. It's not surprising to a diehard fan like me to find articles like this written about Case all over the Internet. But to a new fan, you may be taken back by the amount of quality work Case has released, and the amount of people who have supported him through articles. TRIVIA: Peter Case's son Joshua shares writing credits on "Spell of Wheels." Additionally, the song was inspired by an incident that Joshua had in the early 90s.